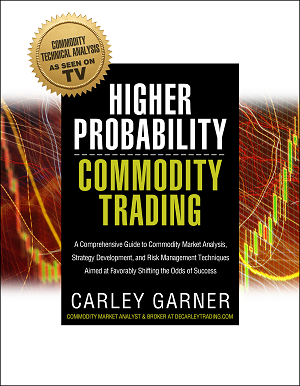 If you are interested in learning to trade futures, or options on futures, Carley Garner's suite of commodity trading books offers readers a wealth of information from a long-time industry veteran. 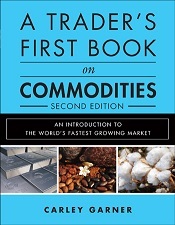 A comprehensive guide to commodity market analysis, futures and options trading strategy development, and risk management; Higher Probability Commodity Trading takes readers on an unprecedented journey through the treacherous commodity markets; shedding light on topics rarely discussed in trading literature from a unique perspective, with the intention of increasing the odds of success for market participants. A ground level approach to commodity futures and options trading, covering topics ranging from calculating profit, loss, and risk in commodities trading through choosing the proper futures broker. It also highlights the process of choosing a futures trading platform, obtaining the best commodity brokerage service level, as well as peripheral topics such as constructing a futures and options trading plan, handling commodity margin calls, and maintaining emotional stability. A rare book with a focus on options on futures, not stock options. Although calls and puts are mechanically the same for equity traders and commodity traders, there are vast differences between the trading arenas that should be recognized. 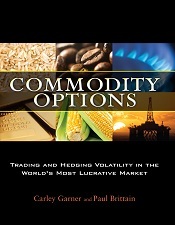 Commodity Options takes readers on a journey through several option trading strategies, including option spreads such as the butterfly, condor, and synthetic calls and puts. There are plenty of books promising "easy" money in the FX markets, but this isn't one of those books. 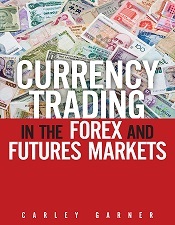 Instead, Currency Trading in the FOREX and Futures Markets provide a candid description of the FOREX markets, including the fact that most FX market participants are trading against their own brokerage firm. In Currency Trading, Garner suggests currency speculation might be best done in the currency futures markets listed on the Chicago Mercantile Exchange. Here traders have the luxury of transparent, centralized, and well-regulated markets, as well as better protection of their margin funds on deposit.